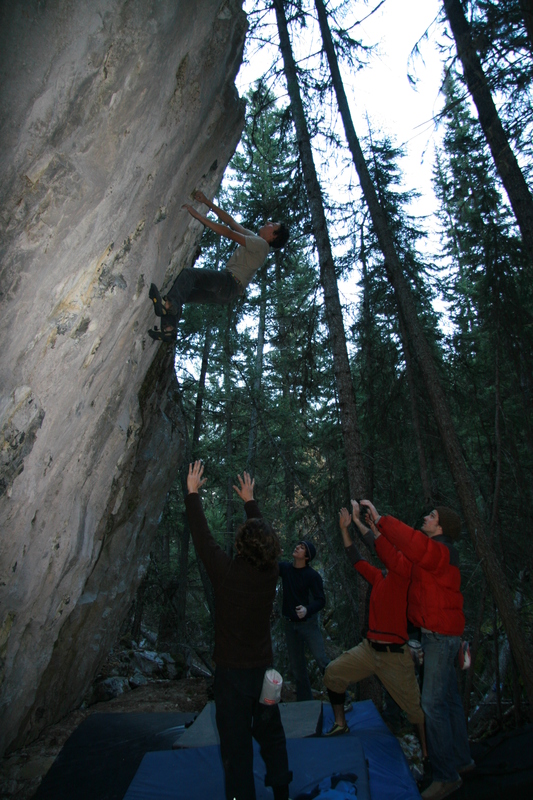 The Oregon Jack bouldering area was completed in the fall of 2010, with the intent of the full OJ area guide being posted in the spring. Yeah….that’s probably not going to happen. So, here’s the draft that includes area info, directions and the bouldering problems. By draft I mean that the grades may need some work and will likely change quickly as a few more people start climbing. Nick Price and crew are putting up a lot of lines on the nearby walls which I hope to have included and folded into the larger CLIMBKamloops guide in the near future. You can find the Oregon Jack climbing guide draft here.